Few places are as rich in art and cultural history as the New York City neighborhood of Harlem. 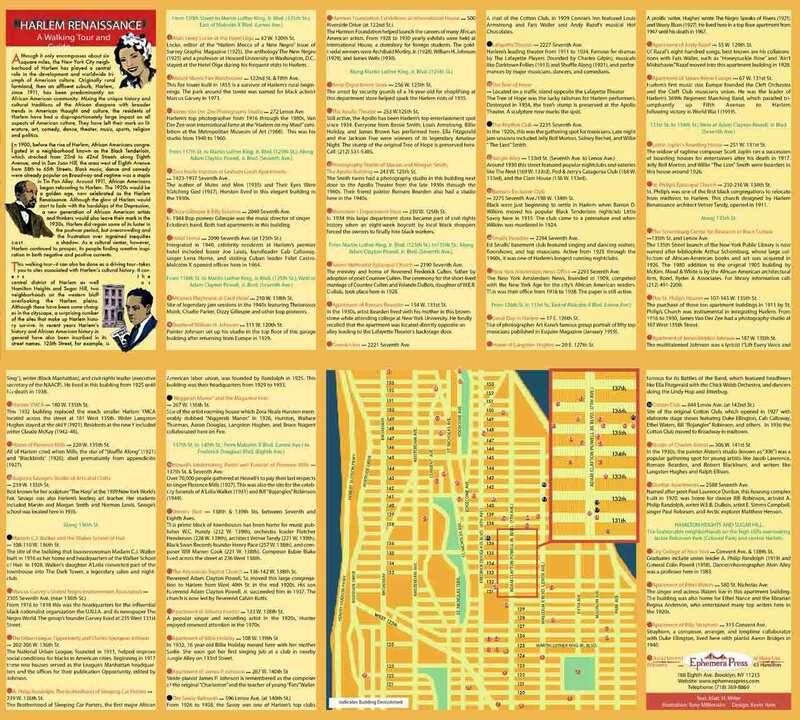 This map-poster-guide shows the homes, nightclubs, churches and other sites associated with Harlem's writers, artists, musicians, thinkers, and political leaders. 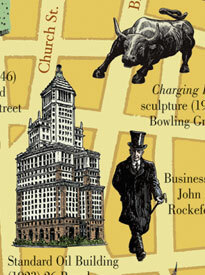 Featuring portraits and drawings of buildings and streets, this illustrated map makes a beautiful poster suitable for framing. 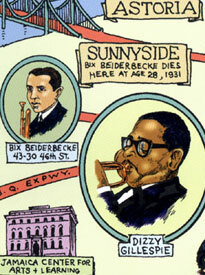 The back of the map provides addresses and an easy-to-follow walking tour of Harlem. 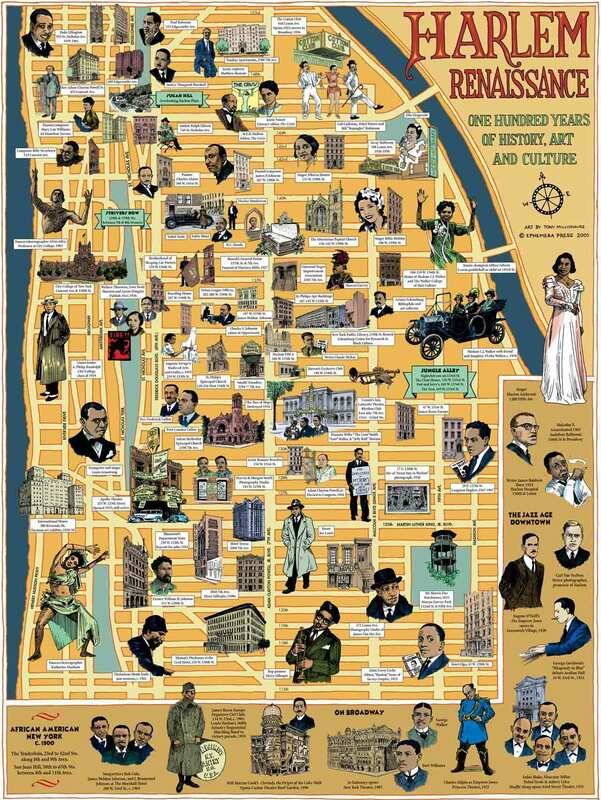 The Harlem Renaissance Map is more than an attractive wall poster. 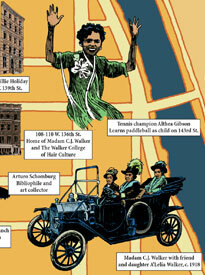 It also contains a well-researched walking-tour guide to Harlem's historic sites. The itinerary includes sixty-one of the neighborhood's most interesting spots; each is briefly described, and clearly located on a secondary map specifically designed for those visiting Harlem. 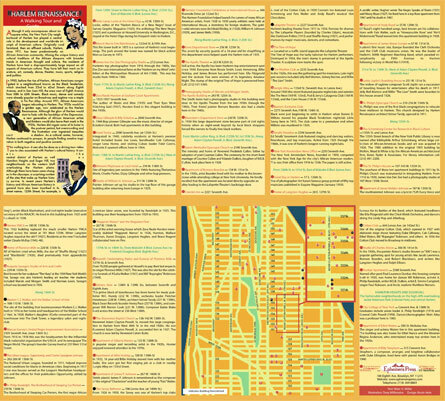 The walking-tour guide is printed on the back of folded Harlem maps. Unfolded posters and framed maps come with a separate four-page booklet containing the walking-tour information. A great site for teachers with many interesting links for learning more about African American History. This is the official site for The Apollo Theater, a major part of Harlem life since the 1930s and still active today. Everything you need to know about Art Kane’s 1958 photograph and the 57 jazz greats who are part of this legendary group portrait. The official site of the musician, composer and Harlem resident who first rose to fame as headliner at Harlem's Cotton Club. This site is devoted to the 1926 magazine FIRE!! Follow links to learn more about Wallace Thurman, Zora Neale Hurston, Langston Hughes and other contributors. 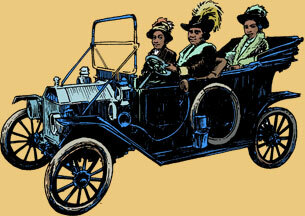 History and images based on an exhibition originally created by the Schomburg Center. This informative site needs to be refurbished but can still be explored by clicking the “next” button at the bottom of each page. 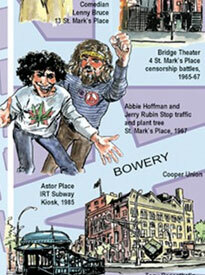 Up-to-date information and news about the changing Harlem of today. A blog about current activities in Harlem. An important new Harlem institution still being developed. The historic March 1925 issue of Survey Graphic devoted to Harlem and edited by Alain Locke can be seen here in its totality. A multi-media tribute to the famous poet and longtime Harlem resident. Once at the center of the Harlem Renaissance, this research branch of the New York Public library remains a key repository for Harlem and African American history. The art exhibits at this Harlem institution spotlight both older African American artists and new talent.